Lush is a cosmetics company that strongly advocates recycling, fair trade and ethical buying. We take a look at what makes them a standout in the beauty industry. 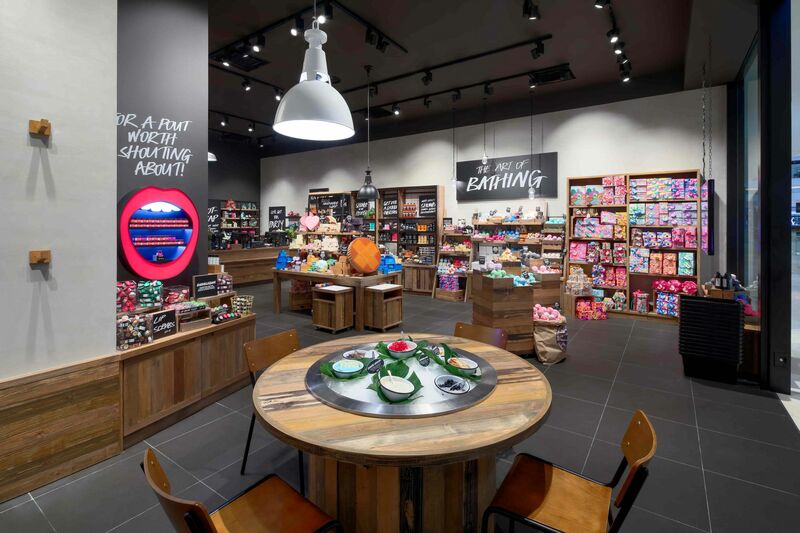 According to Lush Malaysia’s director, Harvinder Harchand, the founders of Lush initially established “Cosmetics to Go”, but it soon collapsed due to a combination of over-trading and flooding. Three months later, the same team created a new venture under a new name and that's how Lush was born. Lush runs its company like a bakery, with batches made by hand in small quantities. None of their products contain preservatives, purposely done to maintain its freshness. One of the freshest products in store is the Fresh Face Mask, which Lush Malaysia reorders every week. Without preservatives batches are ordered in limited quantities and almost always, the Fresh Face Masks sell out instantly. In the words of Harvinder Harchand: “Going naked is best – no packaging needed.” In light of their Naked Skincare launch in Malaysia, the beauty retailer wants to do away with excessive packaging and focus on producing quality products. By eliminating packaging cost, the funds can be used to source for the best ingredients, while contributing to fair trade. Did you know, one shampoo bar is equivalent to three bottles of 250ml of liquid shampoo? One shampoo bar can last up to 80 washes. Yet, this unique piece of product is not new to Lush. In fact, it has been produced since the operation of Cosmetics to Go. The founders were known for creating their own batches of products made from their own recipes, one of which was the shampoo bar. Ranging from an array of colours, each bar is made to suit every hair type. Lush constantly advocates and educates its consumers about re-usability and recycling. One ongoing initiative is encouraging consumers to return their black pots. These iconic pots are made from 100% recycled material, and for every five empty, clean black Lush pots brought back, a Fresh Face Mask will be given out for free. So, before you throw away the black pots, consider keeping them to redeem your Fresh Face Mask. Traditional Japanese wrapping cloth called "Furoshiki"
Another initiative is their Knot Wraps, to replace their cardboard boxes and wrapping paper for in-store gift wraps. Inspired by a traditional Japanese wrapping cloth called “furoshiki”. These fabrics are made from recycled plastic bottles, organic cotton or recycled vintage scarves, which are not only beautiful but reusable.